Stanton Heights Subdivision Tour, Fort Mill, SC from Arbie Turner Homes on Vimeo. The Turner Real Estate Group would like to welcome you to a tour of Stanton Heights subdivision. 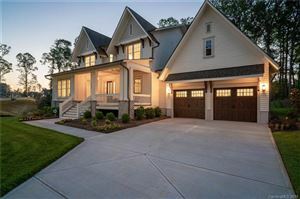 Stanton Heights is a new home community located in Fort Mill, SC just behind Regent Park subdivision and right off of Star Light Dr. From Stanton Heights downtown Charlotte, NC is only a short 25 minute drive. Stanton Heights is made up of beautiful, large custom brick homes. A number of lots are still available for building. Homes in Stanton Heights typically sell for over $350,000, have 4 or 5 bedrooms, and 3,000+ square feet. Stanton Heights homes are less than 7 years old and are designed for modern living with open floor plans, large gourmet kitchens, mudrooms, stainless steel appliances, and 3-car garages. Lots are spacious, in many cases over 1/3 of an acre. 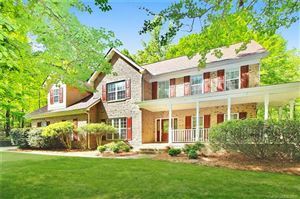 Stanton Heights is part of The Regal Manor HOA along with a number of other nearby neighborhoods and include the use of a large community pool, childrens playground, beautiful clubhouse, and nearby pond. Stanton Heights is conveniently located within a short 2 minute drive to banking, shopping, and dining. With Stanton Heights large beautiful brick homes, super location, and wonderful schools it would make a great neighborhood to live in.